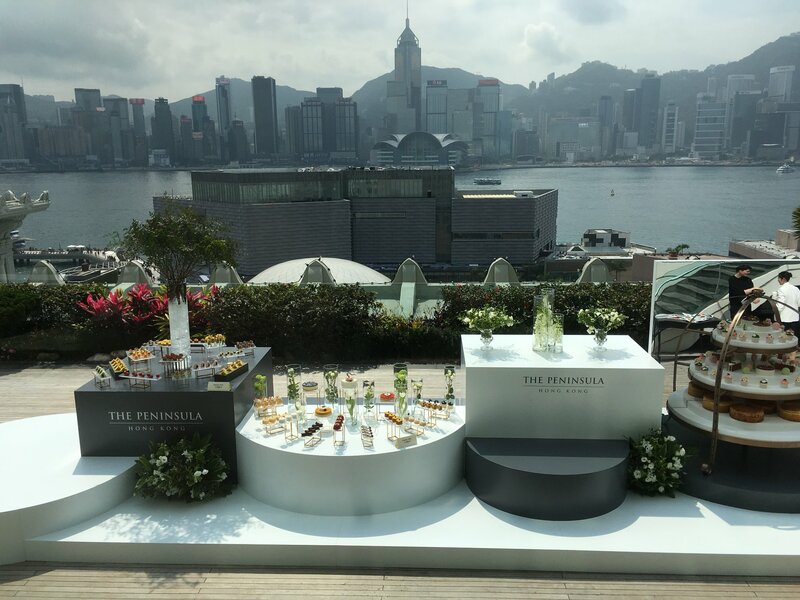 HONG KONG — The Peninsula Hong Kong (香港半島酒店), located in Tsim Sha Tsui, Kowloon, Hong Kong, is our home base for this “excellent adventure.” It opened in 1928 was billed “the finest hotel east of the Suez.” It combines colonial and modern elements, and is notable for its large fleet of Rolls-Royces painted a distinctive “Peninsula green.” More historic details here. 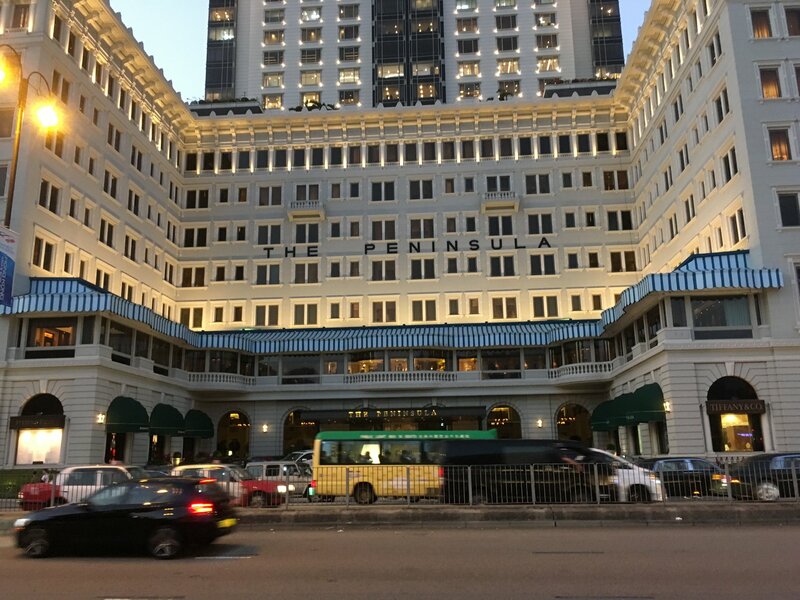 The building was completed in 1927 and the hotel opened in 1928. 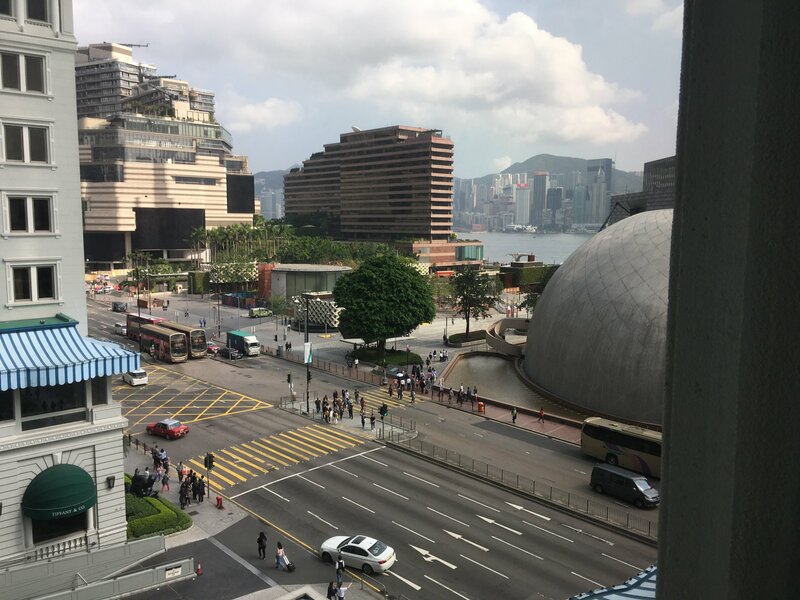 It offered unobstructed views of Nathan Road and Lion Rock at the rear. That has changed, and the “Grande Dame” now is surrounded by high rises. A brief history is here. 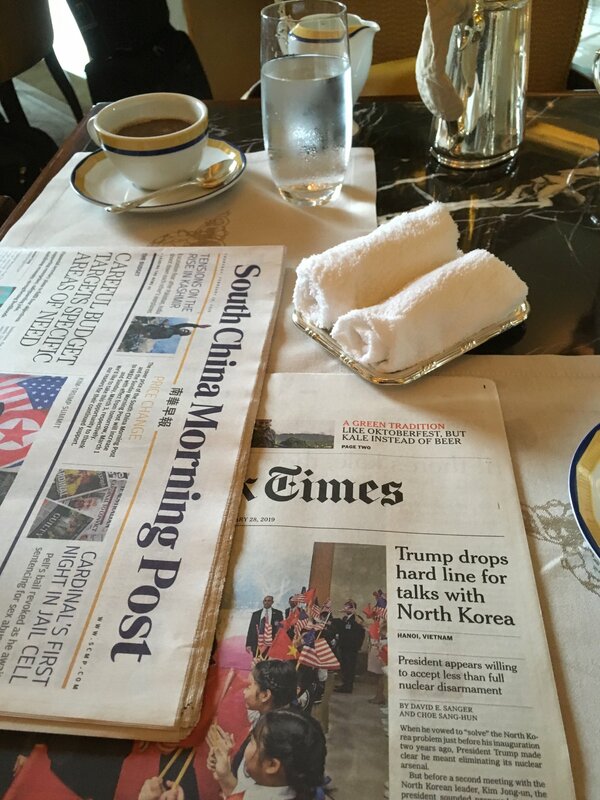 The South China Morning Post and The New York Times are offered at breakfast. The newspapers come with hand towels. Who wants newspaper ink on their hands after reading the newspaper? The hotel is filled with wonderful artwork. 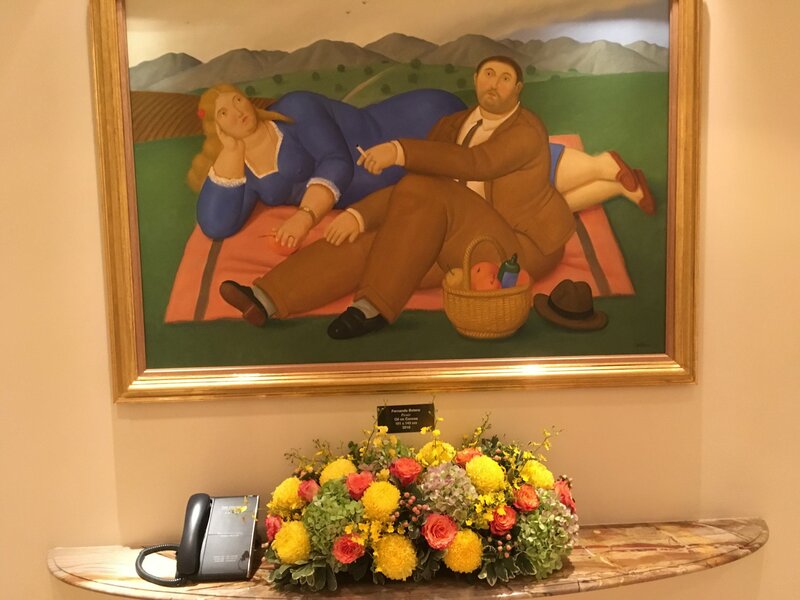 One example, below, is Botero Sojourn’s “Picnic.” The Peninsula Hong Kong has teamed up with the Peninsula Shanghai to showcase Botero’s world-class works in 2019. Fernando Botero was born in Medellín, Colombia, in 1932 and attended a matador school in his youth, according to his bio. He later studied art at Madrid’s Real Academia de Bellas Artes de San Fernando. After his art began to achieve international acclaim in the 1970s, Botero moved to Paris. Today, his paintings and sculptures are exhibited around the world such as Park Avenue in New York City, the Champs-Élysées in Paris and Central Harbourfront in Hong Kong. 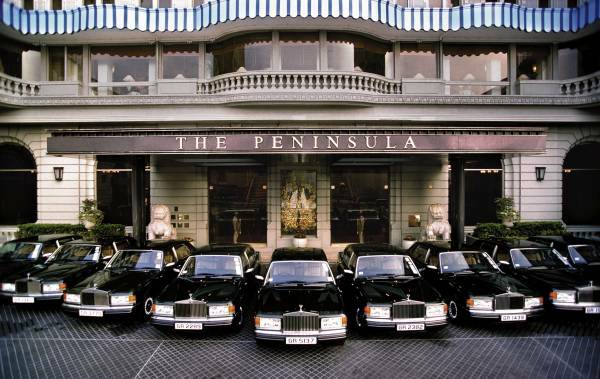 The hotel also is known for its fleet of Rolls Royce Phantoms.​ “The emerald green Phantom VIII is known for its curb appeal, but its less visible features make it perfect for navigating the city streets: active anti-roll bars, electrically controlled air springs, and a road-scanning camera that helps anticipate bumps (and potholes) in the road before they actually hit the wheels makes for a drive so smooth you’ll feel like Jasmine or Aladdin,” according to Conde Nast Traveler. More details here.